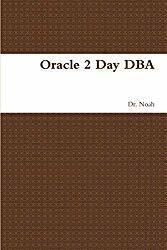 Oracle Database 2 Day DBA is a database administration quick start guide that teaches you how to perform day-to-day database administrative tasks. The goal of this book is to help you understand the concepts behind the Oracle Database. It teaches you how to perform all common administration tasks needed to keep the database operational, including how to perform basic troubleshooting and performance monitoring activities.